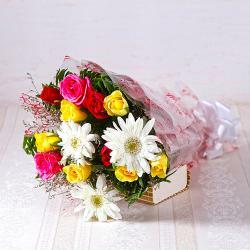 Product Consists: Bouquet of 10 Red Roses with lots of green fillers. When it comes to touching the hearts of loved ones, nothing works better than flowers. 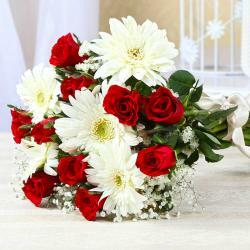 This bunch of ten red roses will please you immensely with sheer elegance alone. 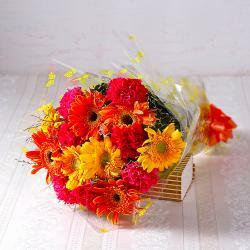 These lovely flowers also come with cellophane packing for added beauty and quality alike. The matching ribbon bow on top adds its own special touch to this alluring gift pack. 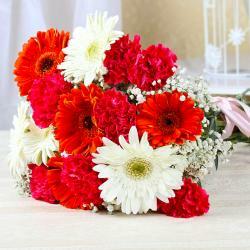 You can gift these soothing flowers to loved ones on occasions like Birthday, Anniversary, Get Well Soon, Lohri, Fathers Day and more. This gift pack will be a novel idea on your part. 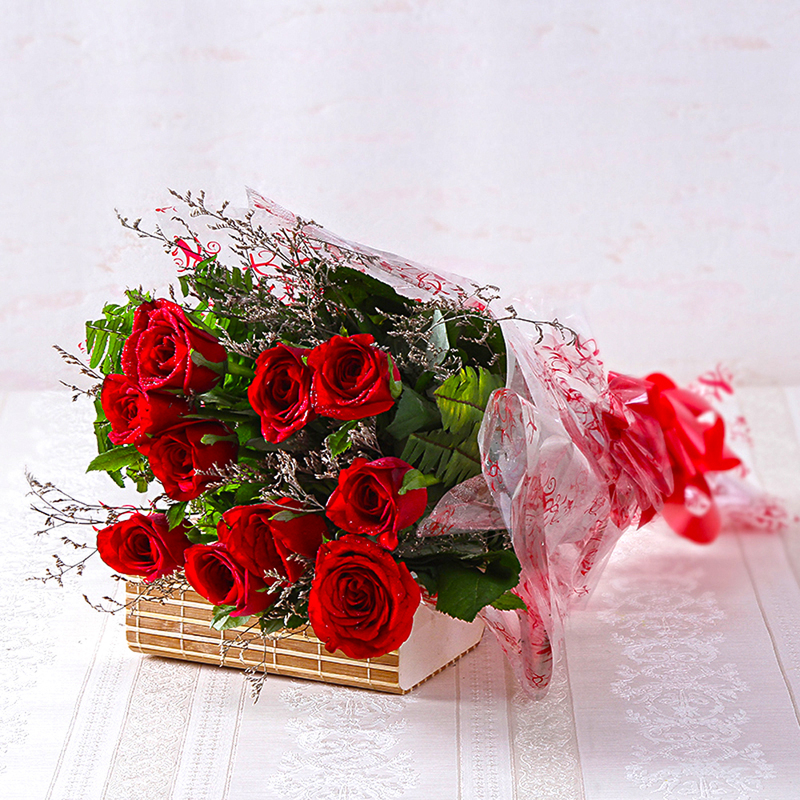 Product contains : Bouquet of 10 Red Roses with lots of green fillers.